The act of identifying people has always been a nookie in the smooth mechanic wheels of communication. By nature, we tend to generalize our identification of people by their figure, face, voice, gestures and swagger. Less consciously, we also do so by scent and rhythm. In the age of the letter, which now includes the age of information technologies - Internet & Computers, we find the problem more aggravating, than ever before. And the contemporary solution? 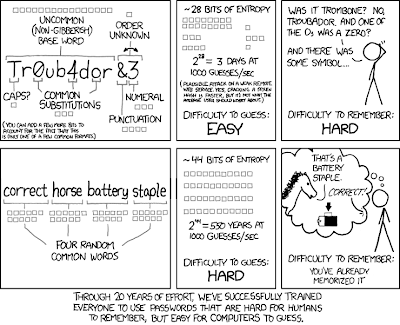 Passwords. Passwords are as much of a failure as is fast food. First, you have to memorize them both ways, which is unreliable. If either the listener or the teller get the password wrong, for whatever reason, then the identification fails. Second, using the letter or word format to identify a person is unsafe. It may be easily stolen and copied. What is the next step in reliable identification? Passwords are a sub-category of patterns. Many things are patterns. How we behave. How we converse. Our timing. Face, voice and finger-print recognition software use patterns, too. Are they reliable and safe? No. Faces and voices are too error prone and may be simulated by others. Finger-prints are reliable, but can be copied, so they are not very safe. Also, all of the above require an extra device to get the user input. A camera, a microphone or a finger-print sensor. It will be more reliable if we avoid using extra devices for identification. There is, however, a pattern that requires nothing new, and is more reliable and safe, than anything else. Usage patterns. For example, a computer can remember the input patterns of the user, during regular activity. Typing on the keyboard. Mouse clicks and movement, or touchpad clicks. The days and hours of usage. The applications most used and the pattern of changing between them. Internet website browsing patterns. Even the patterns of audio and video that the computer can access. Any new account is guaranteed access, for a limited period of time. No password necessary. After a reliable and unique pattern has been identified, the computer will begin keeping a watchful eye on the user, trying to identify the user. The moment the user logs in, the computer will start running unobtrusive tests, against the user. The more the user is identified, the more access is granted. Imagine you create a new email account. The email server - the computer on the other side - begins the recording process. After you have accessed your email several times, the server will start by having you type a short phrase, for basic entry. Any phrase! The server will know what words, symbols and typing habits should display from your side. In the case of more entry levels, such as a sensitive email folder, the server may open up certain secure options, only after you have displayed enough usage to confirm your identity. Can you even imagine anybody able to mimic your habits? It sounds impossible! Big social websites, such as Facebook and Google, already use pattern recognition for both server and user. The server will identify and alert you, when your account has been logged in from a new location. Facebook even requires users to identify people in their photos! I hope you find this topic interesting. I know I do! This is definitely going to be implemented in my next programming project.